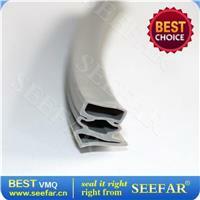 Custom Grey Silicon Rubber Strip Salient Features: Excellent heat resistance from -80°C to 250°C. Nice surface finish. Available in different color and sizes. 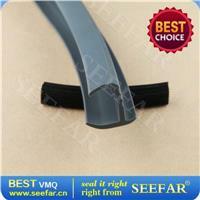 Seefar Rubber Plastic manufactures a wide range of Silicone Rubber Extrutions in variety shapes and designs. Our silicone rubber extrusions can be made for food, pharma grade, which can easily withstands temperature ranges of 80° C to 250° C or above. 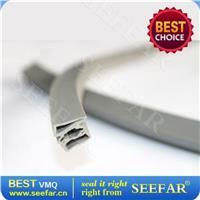 We are well equipped to manufacture Extrutions to accurate dimensions, smooth surface finishes and beautiful color.